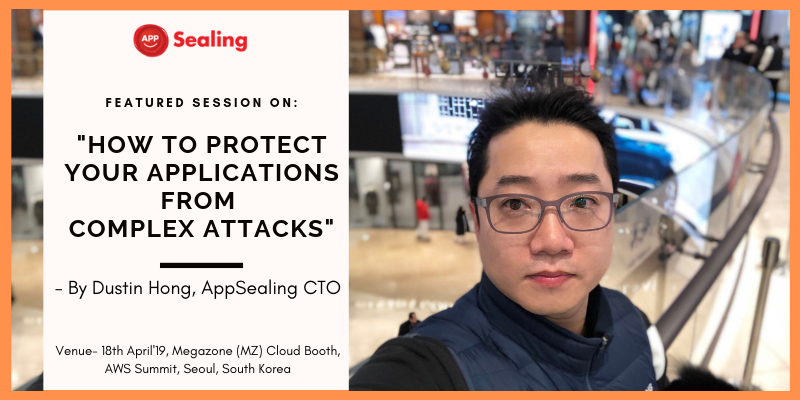 AppSealing, the trusted mobile app security solution developed by Inka Entworks, will make its presence felt at the AWS Summit, COEX Convention Center in Seoul on April 18, 2019, through a presentation by its CTO Dustin Hong. AWS Summits are held around the world, which brings computing community together for knowledge sharing and networking. AppSealing is already available on AWS Marketplace since earlier this year. Mr. Hong will speak on the potential threats specific to mobile apps which can hurt both the users and companies that own apps. With a fast expansion of mobile and digital devices and extensive use of cloud platforms for storing data, it has become essential to secure app code and data from being exposed to the evil intentions of omnipresent threats from hackers. Mr. Hong will explain how hackers try to exploit leakages in code bases, attempt to decrypt apps, use external libraries, target APIs, and inject malicious code in rooted devices among other threats. AppSealing offers a robust mechanism against such threats by plugging each and every gap generally left open by developers with a one-click solution available on AWS cloud. Its Runtime Application Self-Protection (RASP) feature employs runtime environment to detect and block complex attacks by using information within the running software in real time. AppSealing protection is available both for Android and iOS applications and that too without writing a single line of code. An important feature of this security solution is that developers can monitor attacks on their apps through a centralized monitoring dashboard in real time. The developer community can derive great value from Mr Hong’s presentation and learn a great deal about protecting their apps from emerging threats. Posted in Announcement, AppSealing News, Meet with us and tagged android, aws summit, ios, megazone cloud, Mobile Application Security, rasp security, Runtime Application Self Protection.